STEM on Station, a NASA Office of STEM Engagement activity, is currently accepting proposals from United States educational organizations interested in hosting an In-flight Education Downlink. A downlink is a twenty-minute, live video question and answer session between an educational organization and an astronaut aboard the International Space Station. 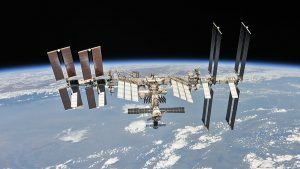 STEM on Station is currently accepting proposals for organizations to host a downlink during ISS Expeditions 61/62 which runs October 2019 to April 2020. Any interested organizations should submit the proposal (below), to JSC-downlinks@mail.nasa.gov. The deadline to apply is Monday, June 3. Hosting an educational downlink provides a great opportunity to educational organizations looking to provide a unique, authentic experience to enhance their student’s learning, performance and interest in science.